Senator Casey to Debate Brian Kelly? Wilkes-Barre, Pennsylvania – December 29, 2011 - Brian Kelly, Democratic US Senatorial Candidate from Wilkes-Barre PA, publicly announced today that he has invited Senator Robert P. Casey, Jr. of Scranton, PA to a televised debate in a modified Lincoln Douglas style at the Barney Inn in Wilkes-Barre PA.
Kelly emailed the Senator on December 15, and promised to wait seven days, hoping to be able to include Senator Casey’s response in this press release. After fourteen days, Senator Casey has not responded. “Senator Casey knows that I am just an ordinary Pennsylvania citizen and just as he has ignored my pleas and the requests of other Pennsylvanians over his five years in the US Senate, the Senator has again chosen to ignore what is best for Pennsylvanians, hoping that you and I will simply go away. However, I have no plans to go away, and with America in dire need of recovery, I bet you have no plans to go away either.” Kelly said. “I am running for the US Senate against Robert P. Casey Jr. for this very reason. 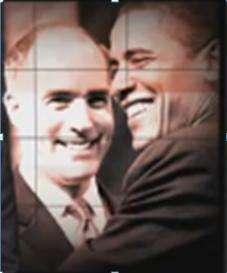 The Senator is tied to the hip of President Barack H. Obama and he has succeeded in proving to Pennsylvanians that if they like the President, and his progressive / Marxist agenda, they have every reason to love Bob Casey Jr. For his own political ambitions, our Senator has chosen to forget and to ignore the people of Pennsylvania. He must not think that he needs any of us. Therefore, I would ask all Pennsylvanians to write Senator Casey or email him. Urge him to accept Brian Kelly’s invitation to debate. Send your cards and letters and emails so that the Senator’s inboxes are all overflowing with the voices of the people of Pennsylvania. Perhaps that will convince this stubborn Senator that the people of Pennsylvania really do matter.” Kelly noted. Office of Senator Robert P. Casey Jr. The people of Pennsylvania need to be represented properly in the US Senate. After following your career in the Senate, I decided that a change must be made in the present representation. On October 18, 2011, I announced my candidacy as a Democrat for the US Senate in PA in the 2012 election. My reason for writing to you is to ask that you honor the people of Pennsylvania with a debate concerning the issues facing Pennsylvanians. They should be given the opportunity to determine which of us, is the better candidate to represent them in the US Senate. After a storied career in the Illinois House and the US House, the Honorable Abraham Lincoln wrote to Senator Douglas on July 24, 1858, hoping to gain the Senator’s approval for a series of debates. It was Lincoln’s hope that these might lead him on to gaining the US Senate seat then held by Douglas in Washington. Lincoln was ultimately unsuccessful in his run for the US Senate. However, he was elected as the sixteenth President of the US. Lincoln’s plea to Douglas was artful. “Will it be agreeable to you to make an arrangement for you and myself to divide time, and address the same audience during the present canvass? Mr. [Norman B.] Judd, who will hand you this, is authorized to receive your answer; and, if agreeable to you, to enter into the terms of such arrangement." Since very few people today can be as eloquent as Lincoln in his request to Douglas, and few people can be as eloquent, though avoiding, in his response, I ask you to debate me in a manner in which most Americans are accustomed. For the record, I would like to present a portion of the PA calendar for the primary election season for 2012. If you find fault with this presentation, please notify me as soon possible. Senator Casey, until February, 14, 2012, I would expect that both of our campaigns will be engaged in the customary ballot petition presentations to the people of Pennsylvania. By March 4, you would more than likely have appropriate assurances that I had gained enough signatures to have a position on the ballot. Since you are from Scranton and I am from Wilkes-Barre, I propose that we have both of debates Fisher’s Barney Inn, a successful establishment in Wilkes-Barre. Since I clearly am the underdog and I represent no political interests other than the people of Pennsylvania, I hope that you grant me the venue request. 1. Candidate 1 speaks for 20 minutes on a publicized topic of his choice. 2. Candidate 2 speaks for 10 minutes about the same topic as candidate 1. 3. Candidate 2 Speaks for 20 minutes on a publicized topic of his choice. 4. Candidate 1 speaks for 10 minutes about the same topic as candidate 2. 1. Candidate 1 speaks for 20 minutes on a topic provided by candidate 2. 3. Candidate 2 speaks for 20 minutes on a topic provided by candidate 1. I will be happy to provide the text of my debate comments to the Casey camp for posting on your campaign web site, and I am hopeful that your campaign will act in a reciprocal manner. I will post both for the public to peruse- www.kellyforussenate.com. Thank you for your consideration of my request to debate me in a modified Lincoln-Douglas fashion before the voters of Pennsylvania. I look forward to your prompt response. Next week, I will include the full text of this letter and your response in a press release. As you can imagine, my resources are shallow but my desire to serve is great. I cannot depend on your magnanimity to put forth my candidacy, and so I must do it myself with releases to the press about notions that you and I have discussed. Kelly is a retired IBM Senior Systems Engineer and a retired Marywood University Professor. He is the author of 46 books that are mostly technical in nature. Kelly’s recent books are about America and Americans and the list includes the following: Taxation Without Representation, Obama’s Seven Deadly Sins, Americans Need Not Apply, Healthcare Accountability, Kill the EPA so humans can live, and RRR, a unique plan for economic recovery and job creation. Like many Americans, Brian is fed up with the progressive / Marxist agenda in Washington that places the needs of everyone and everything, in front of the needs of Americans.